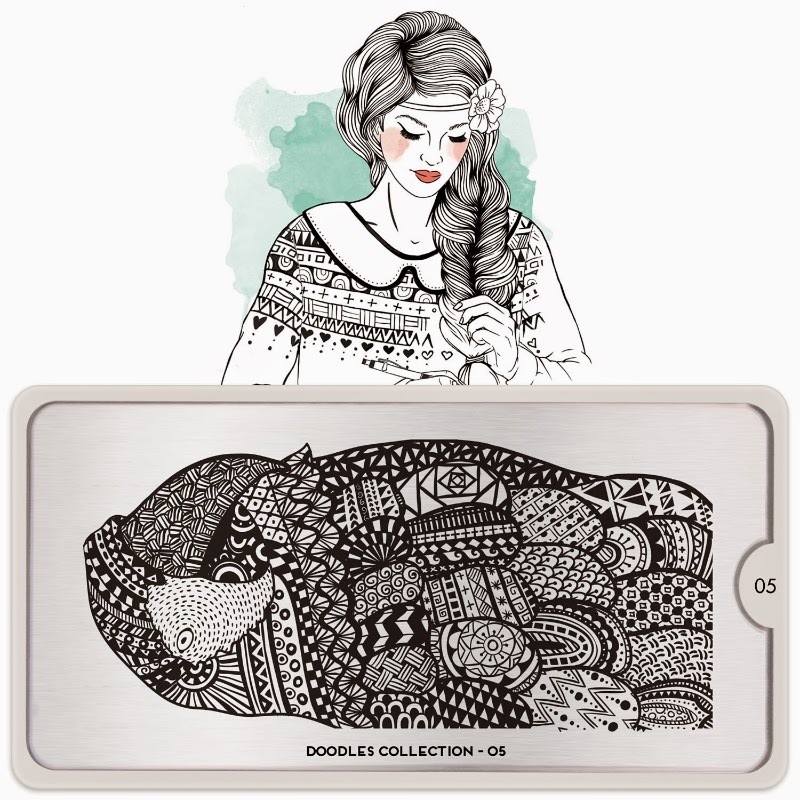 Lacquer Lockdown: Hot Off The Stamping Press: MoYou London Doodles Collection Expansion! 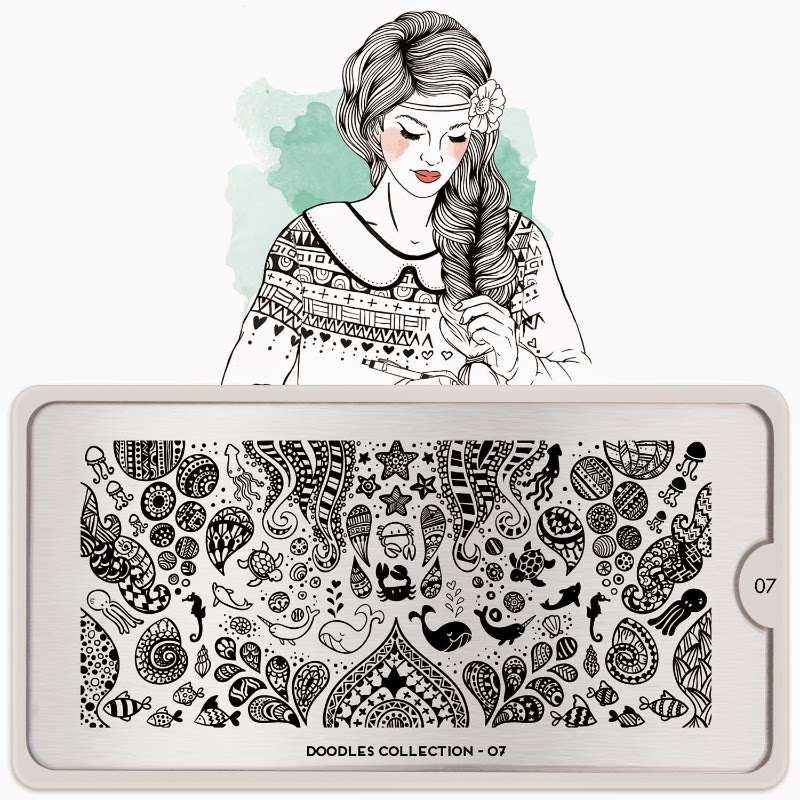 Hot Off The Stamping Press: MoYou London Doodles Collection Expansion! 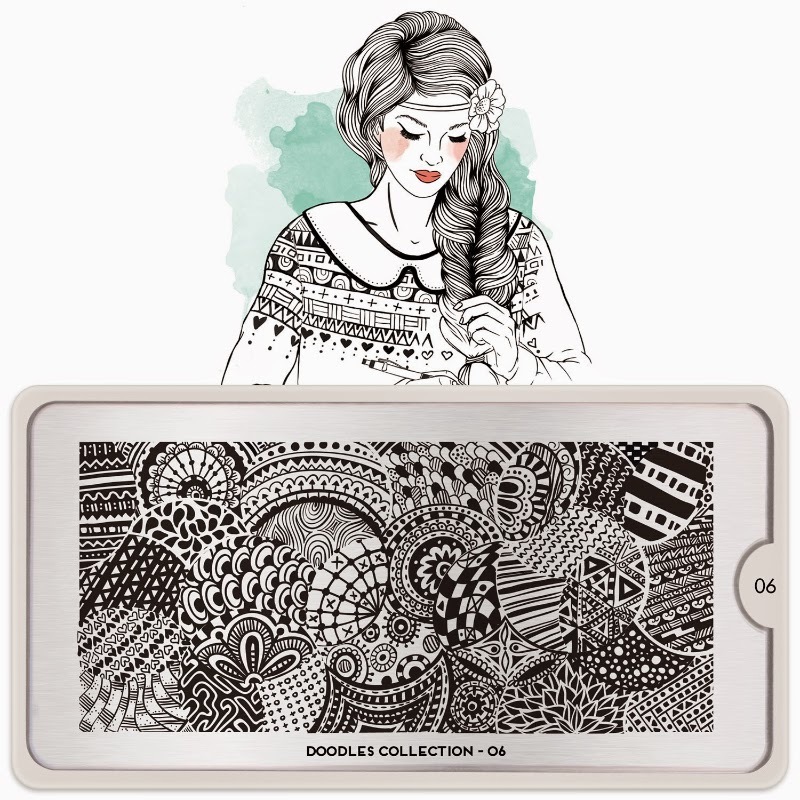 It's Wednesday which means its MoYou London time and I have to admit I waited with anticipation to see what MoYou London was going to reveal for part of their new Doodles Collection. Last week as you know I was so excited when I saw what they unveiled. I decided then and there I was going to scoop all these pretties but because I know MYL well I knew they were going to release an expansion the following week and lucky for me they didn't disappoint. So let's take a look at this weeks new plates. The pretty lady is back! Have any of you ever seen Howl's Moving Castle? Remember No-Face the mud creature that is just sludge and slime and nastiness? The shape of this doodle conglomeration reminds me a lot of No-Face. So creepy and yet so cool. Gah No-Face!!!! Overload. I love these doodle plates but man they really mess me up because my eye has no idea where I should be looking. Its hard to winnow in on one segment and what's the clearest to me is there is LOT to be seen. Still totally loving the ideas that come to mind when I look at these plates. The patterns on the buffet plates are so cute but I worry about them being big enough for full coverage. It's hard for me to judge the size when they're all mashed together like that. =/ The sea theme one is a MUST-BUY, though. Been a while since I wanted an entire MYL collection and this just screams take me now! I held back last week to wait for this release and just get the lot. The possibilities with these plates are endless! There is nothing I don't like about them.